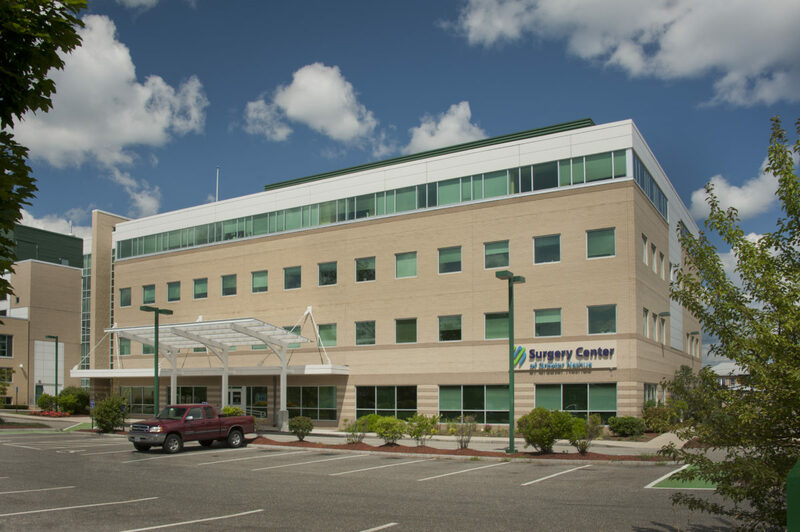 The Surgery Center of Greater Nashua – a new outpatient surgical center is the result of a joint venture St. Joseph Hospital, Southern New Hampshire Medical Center, and Dartmouth-Hitchcock of Nashua. The nonprofit center is equally owned by all three entities, each of which appoints two people to the six person board of directors. The Surgery Center occupies 10,000 sq. ft. of first floor space alongside Southern New Hampshire Medical Center at 10 Prospect Street. 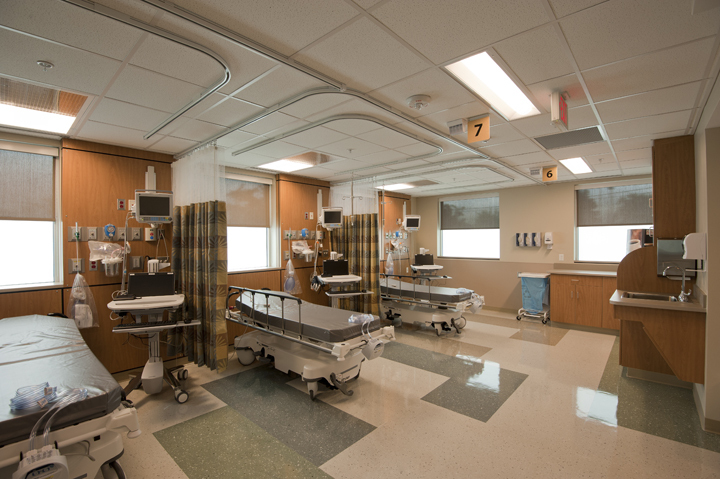 It includes three operating rooms, 14 pre-and post–operative rooms, a Phase I post-op area, two nurses stations, a check-in and waiting area. 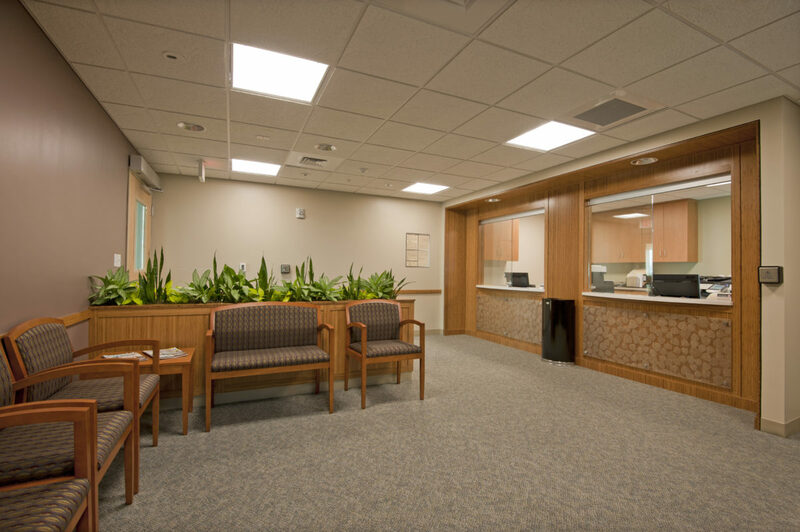 The center is designed to service surgeries that do not require an overnight stay before or after the procedure and will focus on types of surgery such as joints, podiatry surgery or ear, nose and throat surgery that do not require general anesthesia for longer than two hours or complicated pain management. Fulcrum partnered with Dignard Architectural Services, and sub-contractors Gate City Electric, Granite State Plumbing and Heating, Gemini Construction, and Superior Fire Protection. 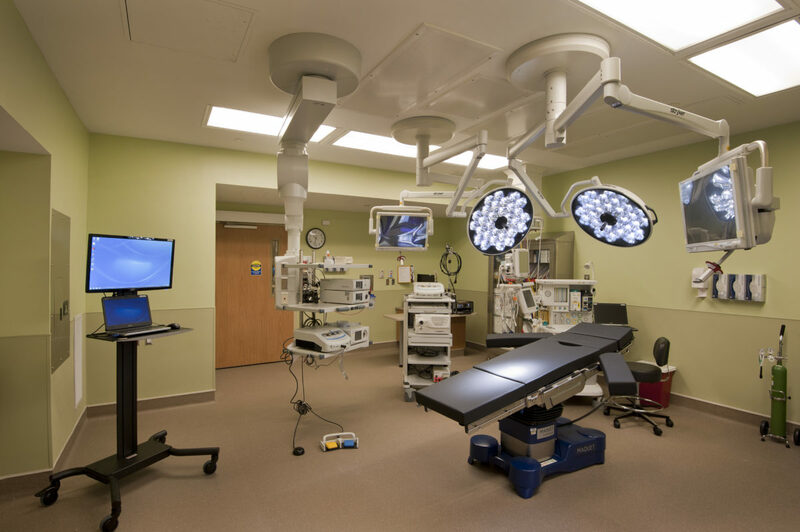 Objectives: Each surgical suite has an equipment boom suspended from the ceiling that houses all of the video equipment, monitoring equipment and electronics. Each surgery is recorded with the systems having the capability to send laparoscopic photos from inside your colon for example to your medical records during the procedure. There is plenty of important non-electrical equipment too, including “puddle guppies”, which can be thought of as liquid cousin of the Roomba vacuum, coping with many of the fluids typically associated with surgery. 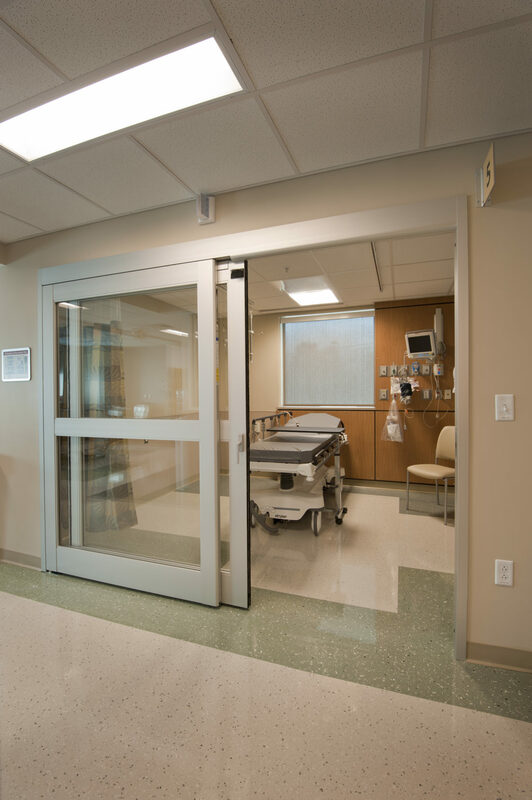 Challenges: The new surgery suites are categorized as Class C and contain much of the state of the art equipment, short of robotics, you would find in full service hospital based operating rooms. The construction required extreme coordination of the trades to assure the maintenance of the purity of the environment regulated for surgical facilities, from medical gases to specialty electrical devises to air quality standards Fulcrum worked closely with all their sub-contract partners to assure the highest standards were maintained and met. 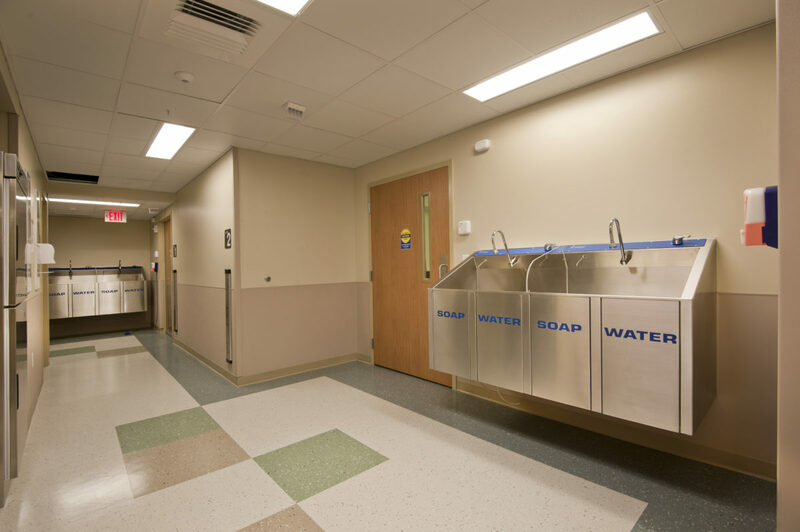 The construction was also challenged by the need for the other tenants within the building to remain operational while work progressed, most importantly being the oncology treatment suite located directly above the renovation project. The noisy and more disruptive work required close coordination and sensitivity to the tenants and patients of the occupied spaces.